Welcome to Underriner Honda’s Automotive Finance Center! Welcome to the Underriner Honda financing center. Whether you’re searching for a competitive rate on your next automotive loan, or a low monthly payment on a new Honda lease, Underriner Honda is your destination. We have been serving drivers from Montana and Wyoming regions for years, and we would love an opportunity to earn your business in the future. You may be asking yourself, why should I finance or lease your next vehicle from Underriner Honda? 1. We offer competitive interest rates. 2. We have a number of new Honda lease specials. 3. No embarrassing credit situations (get started online). 4. A transparent financing process. If you have any questions about the interest rate, loan duration, or loan details, simply ask Norm Everett or Michael Kay for more clarification. Our friendly and knowledgeable financing team wants to make sure that you know exactly what you’re getting yourself into. To learn more about financing a new Honda or used car at Underriner Honda, please do not hesitate to contact us with your questions and concerns. We can offer great financing terms through Honda Financial Services based on approved credit. Underriner Honda’s financing team is helmed by Norm Everett who is looking to be your customer advocate and help you get automotive financing to fit your needs. For customers with less than stellar credit, Norm Everett will work with you to help you secure a loan, if your situation demands it. Underriner Honda has strong relationships with banks throughout Billings and is committed to finding you a financial services company to best meet your needs. Low interest car loans may be available for customers with existing loans! Also, we can help you refinance your loan or adjust the terms of the contract. 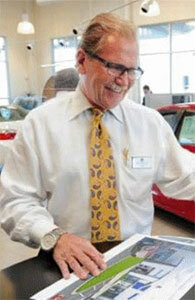 Visit our Honda Dealership at 3643 Pierce Parkway, Billings, MT 59106 to speak to Norm Everett.